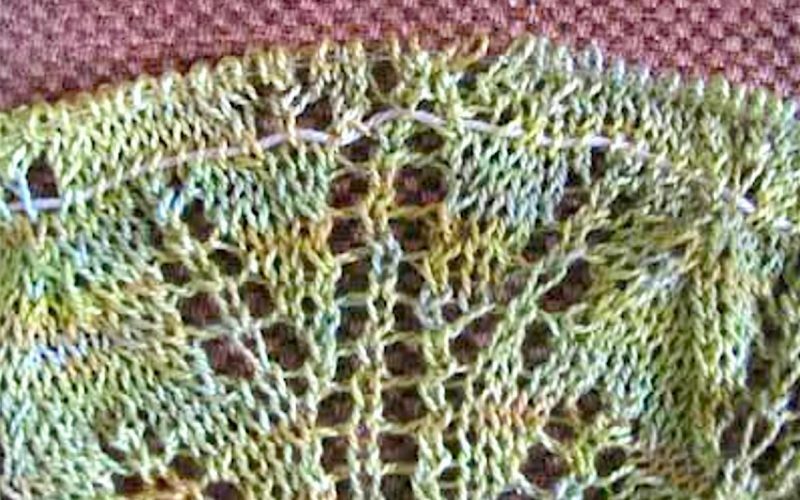 As an encouragement to beginningish lace knitters everywhere, and to get some lemonade out of a sour experience from my Early Lace Period, here’s how to make a lifeline so that you can safely rip back a mistake that you’ve made. Step 1. Stare at the six messed-up stitches for two hours. Try a few k2tog-yo-don’t slip the stitch off the needle-yo-k efforts just to be sure a miracle doesn’t happen. (It won’t.) Realize that you have irredeemably screwed up. Step 2. Decide, the way you decide to eat Grandma’s preserved figs even as you despise preserved figs, to rip back to a better place. Remember that you have already wasted two hours wishing for a pony that will never come. Step 4. Use a tapestry needle and some yarn. (Patons Grace, a smooth mercerized cotton, is excellent for both lifelines and trussing a chicken.) (Dental floss slides well and also keeps your teeth clean. Go ahead and use a fresh piece for your lifeline.) Thread your way through the Good Row. Pay attention that you catch every stitch (even the k2tog pssos). If you miss a stitch, well, just don’t do that. 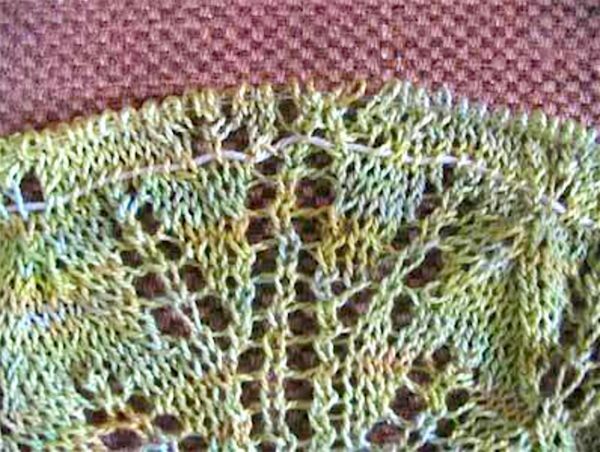 The good thing about following a row of stitches this way is that you might even learn something about the way your pattern is behaving. Or. Not. Step 6: Undo in 90 seconds what took you two hours to knit. When you get to the Good Row, notice how helpful that lifeline is. Hunh. Step 7: Put all those stitches back on your needle, lifeline and all. Watch out for the stray calf who’s wandered from the herd: return, o wayward stitch. When you’re done, zip out the lifeline, and revel in that feeling of deja vu as you knit your way back to where you were. Step 8: If you’re wise, or sorely chastened by the experience you’ve just had, install a preemptive lifeline every 20 rows or so, just in case you make a mess again up ahead. Just thread a tapestry needle and run it through the loops on your needle. Keep on knitting as if the lifeline isn’t there. You may have wasted the minute or two it took to install the lifeline, or it may save future you some sweat and tears. 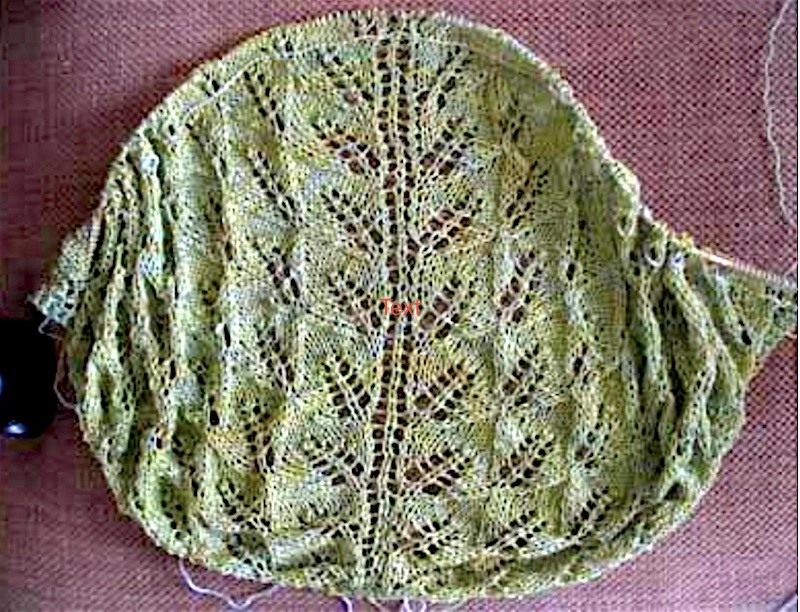 I think it would be easier to put the life line in as you knit along one row and, obviously, BEFORE you make a mistake. Pick an easy row, use the tapestry needle, follow along as you knit, sliding needle through every stitch. And, don’t forget to move it up occasionally as your project grows in size….you don’t want to tink back more than ten rows (EVEN LESS if possible) believe me. I agree fresh dental floss is preferred.